The old adage goes, “If you want to travel far, you have to travel light.” Well, the same is true for traveling in thought. Whenever someone is getting ready to jump a hurdle or flow over an obstacle, there has to be mental preparation. There needs to be a plan and, a willingness to sacrifice heavy foods and drink. 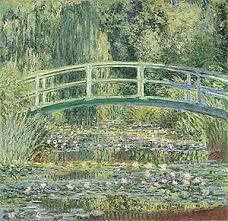 This helps the mind go quiet and allows the one who is in a creative mode to raise the energy level. It is similar to a plane that accelerates to a certain speed before it takes flight. I often eat light with certain fruits such as bananas, yogurt and will lean towards a regiment of nuts when deeply involved in some writing piece. Also, when in season, I write by the lake. Or as mentioned in previous posts, I put on music. I am rather versatile when it comes to music so it can be light classical, love songs, or even spirituals. It just depends on the subject of my writing. Today, I chose spirituals because they are perfect for this post as I write about states of consciousness. Wikipedia says,” fasting is primarily the art of willing abstinence and reduction from certain or all foods, drink or both for a period of time.” We all know that heavy eating turns us into couch potatoes where all we do is eat, watch television and sleep. This causes a considerable amount of sloth. People usually fast or eat less when trying to attain some goal. It acts as a form of practice or ritual to get in touch with spirit and get answers to some life issues. There may be some dieting restraints and specific food choices are avoided so the body will not be bombarded with a sense of heaviness. Appetites must be mastered when a deadline is in view. Writers and artists of various forms of media must be in tune with their souls. The mind needs to go quiet and one must be in contact with one’s soul. Then those creative juices can flow and those hidden truths that are often deeply buried can surface. Sometimes, we do not really know how we feel about a matter until we start writing, painting or revealing our views on a matter through some form or medium. We surprise ourselves and our audiences as the mysteries unravel. Those who live with a creative person know to just let them be during the process and maybe just slide a light snack through the door. And then simply wait until he or she emerges from the writing room or studio, hopefully with a smile. One of my other favorite poems is called ‘Waiting’ which is written by John Burroughs. The first line says, “Serene, I fold my hands and wait.” But this time, I decided not to fold my hands and wait during an unexpected flight delay. Instead, I leaned towards Henry Wadsworth Longfellow’s advice when he said “Learn to labor while you wait.” So, I decided to write a new blog post as I waited for the storms to lift. My generation heard many of these sayings when we were growing up like “Make hay while it is day,” or “idle hands are the devil’s workshop” or ” stay as busy as a beaver.” I believe those idioms helped to shape me and gave me a sense of purpose and good work ethics. Also, I watched my parents go to work and they highly respected their jobs. I wonder how many of our youth actually know the importance of labor and what it means. We had civics classes and we were taught to think about what we wanted to contribute to society as productive citizens. I think that the whole idea of labor should be revisited when speaking with our youth so they will make no small plans in their lives. Many of our youth simply do not see themselves as a part of the whole. Or, they have not been taught about the pride that comes with a job well-done. So, I pulled out my trusty pen and ever handy paper and started writing. As I looked around, most of the people were on some type of technical device. But, I went the ‘old school’ route and wrote in longhand. Sometimes writing in longhand helps me to draw out my thoughts and I can make sure that my penmanship is still legible. Unfortunately, it seems that handwriting is becoming a lost art. I digress. I truly labored as I waited. I think with age we learn that railing against fate does not change things. Things happen in their own time. Busy hands can make time go faster. Women of yesterday knew this and many knitted and crocheted as they occupied themselves and silently waited for some turn of events. When we observe people who wait with grace, it often appears that there is no inner turmoil; but who knows how much percolating is actually going on inside. Breathnach also writes, “Be extra kind to yourself while waiting, making it as pleasurable as possible.” So, I drank a little more of my Coca Cola, continually wrote and amused myself by observing others as they waited. Just about the time that I was finishing this post, it was time to move forward and proceed to the gate. And voila, here it is! In my books, A Golden Leaf in Time Revised and its sequel Warm Intrigues, there is a special relationship between the father Elisha, a widower and his son, Trey. Elisha does all that he can to speak the truth when he sees Trey in pain. Trey depends on his father to listen and to steer him straight when he hits rocky roads in his relationships with women. They often end up in the kitchen when the conversations are heavy. Trey, who later goes by his given name, Tyre, seems to have it together professionally, but has not mastered the affairs of the heart or his dealings with women. He is seen driving to his father’s house in both books. He visits his father when things are going well, but knows where to turn when things are not going so well. Here, we see Trey entering his father’s house when he has just discovered that he is about to be a father himself with his clinging girlfriend, Flora. In Simple Abundance, Ms. Breathnach said, “When the miseries strike and you’re down in the dumps, food transformed by love and memory become therapy.” The father, a former cook from his Army days, finds peace and comfort in his kitchen and it is where he is most comfortable when he is thinking through problems. Breathnach continues, “Comfort food is hearty. When hearts are heavy, they need gravitational and emotional equilibrium. With such sustenance we can keep on going and going, especially when we don’t want to take another step. Elisha and his son have a very special bond. My cousin, Christine, spoke of how she liked their relationship in the books. In the African- American community, we are used to the bonds between mothers and sons. On Mother’s Day , many young people often recite Langston Hughes’ poem, “Mother to Son” in the churches. But we do not hear or see enough father and son relationships. The mere fact that Elisha, is available for his son is unique in itself. He is his son’s rock and anchor and lets him know that the door is always open. In the sequel, Warm Intrigues, we again see Elisha in the kitchen. The kitchen serves as a setting for problem solving for these two characters. I was glad to see that I could tie this into my own books as I revisit Simple Abundance. In her book, Breathnach spends much of the month of July on the art of cooking and its healing effects. As I revisit a dear friend, Simple Abundance, by Sarah Ban Breathnach, I am inspired to write about our characters that we as writers create during a sitting. I have been searching for a quote in this book where a writer states that there is some of us in each of our characters. When I think of the main characters from my first novella, A Golden Leaf in Time Revised, I thought that the main character Phoenix was some of me. I admit that. She tries to camouflage her pain through cheerfulness with the children. Or, shall I say they serve as an antidote to what ails her. But I suppose we all have dark sides just as the moon does and this is where we house what we hope others cannot see. Even our villains are some aspects of ourselves though rarely admitted. Sometimes our characters get to do things that we do not have the nerve to do and many writers will admit that much. So, after pondering my character Flora, I had to admit that there is a bit of her in me as well. As, the sister reminds Breathnach, she is you. Or as the other gentleman quoted, all of our characters are parts of us. Otherwise we could not have created them. Flora is insecure and I suppose she can be any woman who is vulnerable and not in control of her situation. Anyone can feel the way Flora feels and her lack of spiritual resources make her give in to her greatest fears. She is afraid of abandonment and does not know how to cope with other means of finding inner fulfillment. Phoenix, on the other hand, only survives because of her faith and daily practices that reinforce her on a daily basis. She constantly creates her own joy and solace through many avenues. 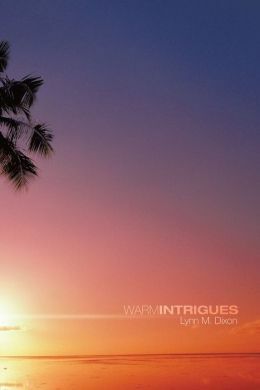 Trey, who takes on his given name as Tyre in the sequel, Warm Intrigues, is in turmoil because he is in a bad relationship which is consuming him. He is whining and unhappy, but until he takes responsibility for making poor choices, he will not figure his way out of it. There were several red flags that he could have seen with Flora, if he had been watching more closely. He had taken the easy route because this relationship did not require a lot of him and he suffers the consequences. I think we can all relate to a situation where we thought we were getting by without a lot of effort only to find that the debt paid was astronomical. His nemesis, Hank, a coworker seems to want to see Trey fail and is happy when Trey is having difficulty in his personal affairs. This gives him the advantage on the work front and he is able to be promoted into a position due to Trey’s lack of focus. We all know about professional envy and how it works. Most people are more than eager to be thrust into a higher level or role, regardless of the circumstances. We are multi-faceted people and sometimes our most troubled characters are parts of ourselves as the quote goes. We either wish that those traits were not there or hope we have conquered or subdued them. As writers, they only way we can create is to look within, look without and put the formula together. The journey often surprises us and as many writers will tell you, though you have a plan, surprises come up as you dig down in the well of your soul and see what truly lies there. One whom the Lord specifically chose. Much more fulfilling than a toy. And be guarded from the noises of hell. So they can share with all their might. As the very special flighted dove. I conversed with a fellow traveler and it made time go even faster as we talked. There was so much food for thought; but the conversation about our elderly relatives sticks out in my mind.. He talked about his uncle’s tears of joy after he spent time with him in an assisted living center. He vowed to take his sons to meet this special and beloved uncle who is well into his 90’s. It takes a lot of patience and often an extra hour or two to go and sit or hold the hand of a dear elderly loved one. There may not be a lot of conversation, but my mother used to always say,”The greatest thing you can give a person is your presence.” Sending the monthly check is one thing but oftentimes our loved ones may not even remember that someone is sending a check on a regular basis. But, what they do remember is the one who took the time to just come and sit a while. I recently read Jigsaw Pieces, a book by Carol Hedges who is a fellow Twitter writer. Her teen character has the school assignment whereby she must go and visit an elderly WWI veteran. He does not speak, but he definitely knows when she is there. She brings him new drawing pencils and he lights up like a child and starts creating immediately after she opens the package. As the adage goes, we may not have silver and gold, but we should make time for our loved ones who are in assisted living or wherever they may live. When I used to visit my aunt at the nursing home, before she passed away, I felt a sense of guilt when it was time to leave. I wanted to swoop her up and make things right, but I knew that I did not have the medical expertise to care for her. This same gentleman with whom I spoke said he felt the same way when it was time to go. He said he hesitated and even went back and stayed a little longer with his uncle. As we know, visiting these places can be difficult. It is also hard to witness them as they decline in health. But, spending time with them gives us an advantage and a certain insight into the life process that others may not possess. In Hedges’ book, her teen character becomes wiser than her classmates simply from spending one -on- one time with the veteran who was almost 100. She sees a lot and has to ponder more deeply. When I visited my aunt at her apartment before she went into the nursing home , I also felt a certain peace. She liked to watch the baseball games mute d with the radio playing. We did not talk that much but being there was calm and it gave me a brief reprieve from my own personal storms. So when give to our elders or to anyone for that matter, we give to ourselves. What decisions do our characters make? I looked into my own library and found an old dear friend gifted by a friend called The Healing Power of Stories by Daniel Taylor which I had not picked up in years. But I was glad when I did revisit it and it has spoken to me ever since. So, I will start by quoting Taylor when he asks the question, “What is a character? A bundle of actions,” he answers himself. She voiced her concern about these two characters and she said she was pulling for them as they made choices to move out of their cocoons. “Characters interest us because of their choices the ones they make and the ones they don’t.” (Taylor). When Phoenix is taunted by her coworkers, who we now call “haters,” she could have responded by confronting them and becoming engaged in a verbal confrontation. But, she makes other choices. On the other hand, Trey is faced with a dilemma with the ill-matched Flora. We watch to see how he handles the situation. He also could have become verbally abusive when pushed to his limits, but we observe his action. “Floored again by Flora, Trey put the phone on the hook. His hands were trembling, his back was hurting down the center, and he felt his left eye twitching at regular intervals. Here he had a stack of seventy-five compositions to grade, and now this. We see that Phoenix and Trey are moral creatures and we hope that things will turn out well for them. But with Phoenix’s so-called friend, Lila makes some moves which show how unconsciously desperate she was as a woman when she makes a play for Phoenix’s boyfriend. Many of us have access to books, but how many of us are determined to read or to even get our hands on a book? In the new age of technology, I have finally succumbed to reading e-books. No put down to e-books, but I never thought I would go this route. I do not have to wait for Amazon or some bookseller to ship it nor do I have to travel to the bookstore. It is downloaded to my Android immediately. But, the bottom line is, I am still reading. There is never a point when I am not engaged in some book or literary piece. So, now that we have easy access to books, do we possess the determination to read them? For years, some rural places did not have a library or a means of getting their hands on a book. Or some would wait anxiously for the weekly or in some cases, the monthly book carts to arrive to an area. I remember waiting for the bookmobile to come to our neighborhood as a child. 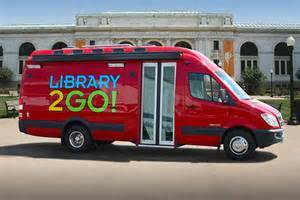 It was an exciting time and I am still intrigued by those library districts that still invest in these large moving libraries. I was tweeting with a fellow educator-tweeter. She said that her students rarely read anything for pleasure in this high tech age. She found this troubling. I quote, “and then proposed to my brother, that if he would give me, weekly, half the money he paid for my board, I would board myself. He instantly agreed to it and I presently found that I could save half what he paid me. This was additional funds for buying books.” (The Autobiography of Benjamin Franklin). How many of us think this way today? Isn’t that lovely? Here was a man who not only loved books, but he showed respect by handling them with great care. Recently someone added a post to the bottom of some news story which was only told through video. It said, “I can read.” I agreed. Yes, I love pictures as most do, but please give me the option of reading the story as well as viewing it. My point? Okay. We fought hard to have access to books whether a hard copy or an e-book? But are we reading? More importantly, what about our youth? Lately, I have been blogging more often because I have had the time and a lot on my mind. But, I have also found that the editing process has become more elusive. The mind sometimes moves fast and as thoughts are pouring out and the fingers are in motion, words are invariably left out. Take a look at the opening quote. Some suggest that we read our copy back out loud. Once during a proofreading job, we always worked in two’s. One read orally to another to try to catch any mistakes. We were dealing with legal jargon and mistakes were simply unacceptable. Others may enjoy what we have written, but it is a process. First, we must have something to write about which we hope will capture an audience. Then, we must add some substance to the piece and try to create an interest in our readers. Yet, in the process, I always look back after posting and see words left out or extra words because we not only write, we must type or enter the words on a keyboard. This adds to the possibility for more mistakes! “Many writers profess great exactness in punctuation who never yet made a point,” says George Dennison Prentice. As a more frequent blogger who has many ideas to share, please bear with me if you see a few errors. I strongly believe that a second pair of eyes is needed for that extra scrutiny. Spell check has its advantages, but it may not catch omitted words or extra words for that matter. My friend Kay reminded me of a music review I had written many years ago on Angie Bofill for an Atlanta magazine. Well, I was moved to look her up and saw that she unfortunately has suffered two major strokes in the past years. So, I decided to dedicate this blog post to Ms. Angie Bofill and hope that she continues to improve in health and spirit. Her music touched me deeply as she sings about the affairs of the heart. I feel that a reawakening of her music is something that would benefit us all. Also, I would love for the younger listeners and musicians to become aware of this great sultry singer. We too often wait too long to celebrate our artists, so while this fantastic singer is rebounding, I want to say kudos to Angie Bofill. Thank goodness we now have U-Tube and I was able to go and listen to a few of her songs. I think they were on her album called “Angel of the Night.” I will cover four of her songs and this will hopefully send you to do a search on U-Tube to take a listen. The third cut is “Tonight I Give In.” She seems to contemplate whether she should give in to this new affair. “You are everything I ever dreamed would come to me. Something is tearing me apart and it feels just fine.” She sounds as if she may let her guards down. I had not listened to these songs in many years, but her subject matter is timeless because there are always couples out there trying to figure it out. This is a great singer that all music lovers should check out. I listened to her as I wrote this piece and it was a pleasant journey back down memory lane. 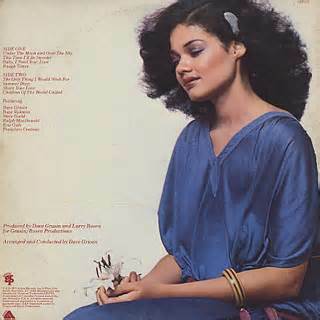 I would strongly suggest you go to U-Tube and listen to the soulful cries of Ms. Angela Bofill. Send her a shout of love and give yourself a hug by listening to this beautiful artist!